Back in the mid-60’s, after I had gotten out of the Army and was “serving my sentence” in the National Guard, my unit was having its monthly drill on Saturday and Sunday. I took a look at the lunch menu in the mess hall, and decided I wanted something different. I drove down to Hicksville, which was becoming a bit more “refined” as Highland Park. I went in to The Hut, and ordered a “pig” sandwich and a beer. There were two older ladies sitting in the adjacent booth. I overheard one of them say, “My God, I didn’t know that they sold BEER in here! I’ll never eat here again!” Only in the “Bible Belt”. 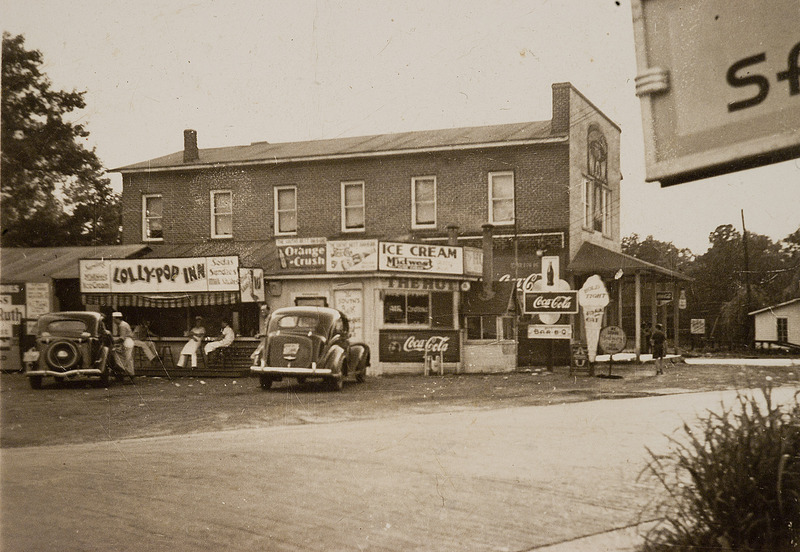 The name of a place can stimulate a rush of memories…Paris, Madrid, Selmer, Oakfield… but the suffix ‘ville’ puts a lot of pressure on the name that precedes it. Nashville carries it off, so does Louisville, but we’re gathered together today to speak of Hicksville. Little is known of the branding genius who named the corner of Highway 45 and Campbell for the Hicks family. It’s a crossroad that holds pleasant memories for many. Yep. 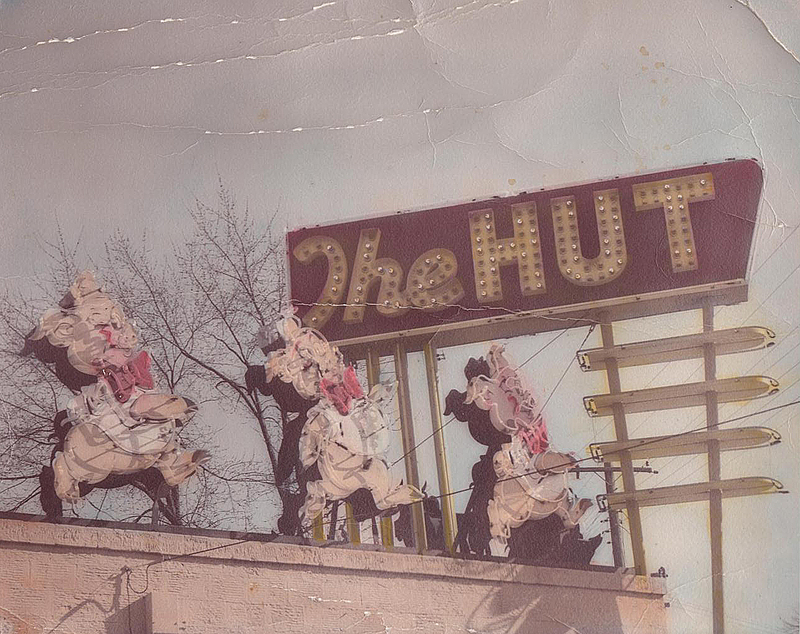 What looks like a carnival midway of competing signs from a plywood building growing like Kudzu at the corner of Campbell and Highway 45, that’s The Hut as first imagined and built. It stood where the Pronto Pup was later built. 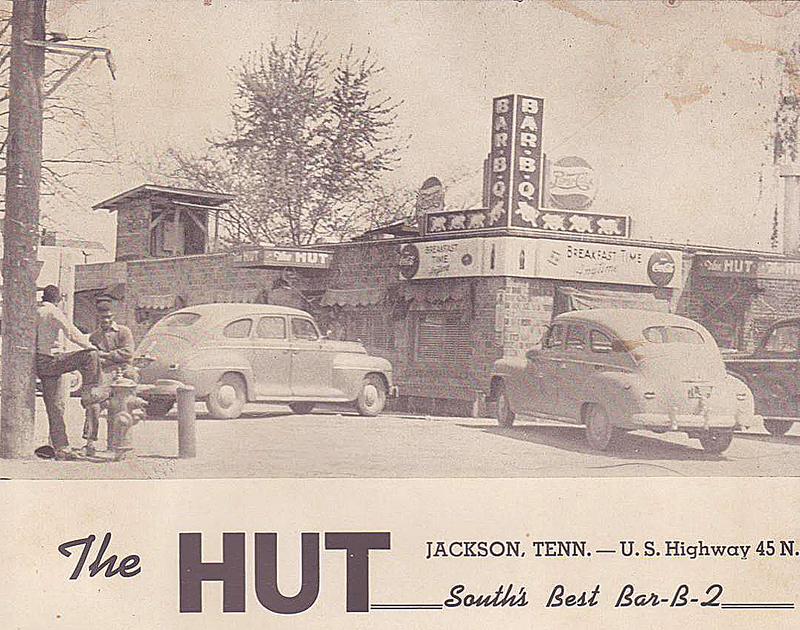 The Hut was takeout pit BBQ with carhops would bring it to your car if you preferred. Mike Tucker had created, what turned out to be a legend of food memories for many. The idea was simple, Hicksville’s crossroad was half way between New Orleans and Chicago, a perfect place to stop to eat. Mike also began building a motel to house the weary travelers. 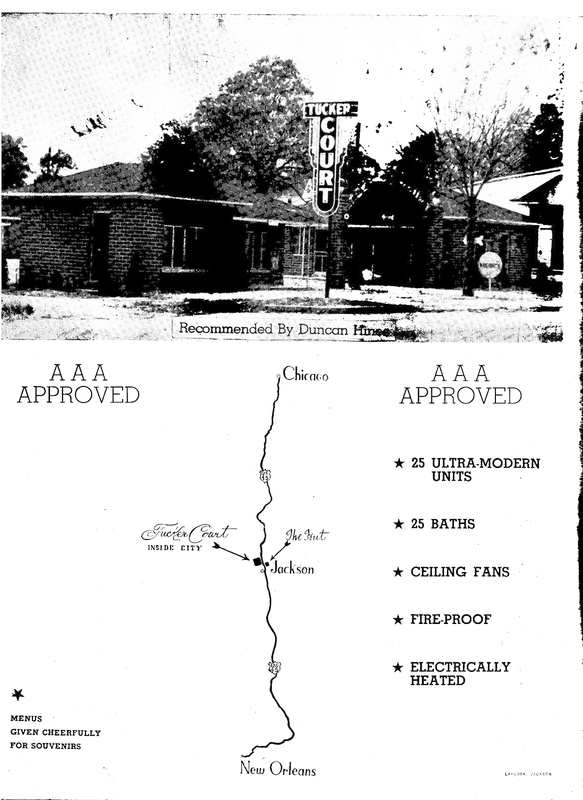 In later 1949 or early 1950, with construction costs above estimates for the motel, he decided to sell the Hut to J. T. Hamilton. By then Mike had moved The Hut across the street. 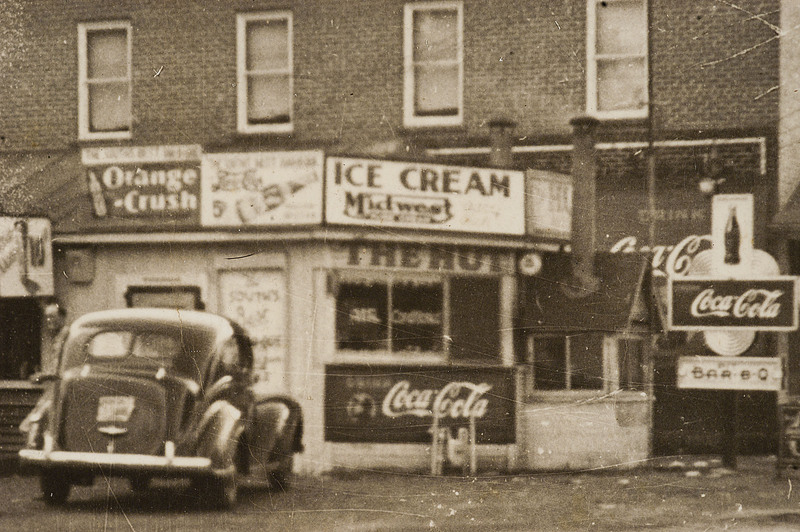 J. T. brought Georgia Nickias to the Hut, who with her brother Johnny had been creating baked goods at the Fox Restaurant downtown. 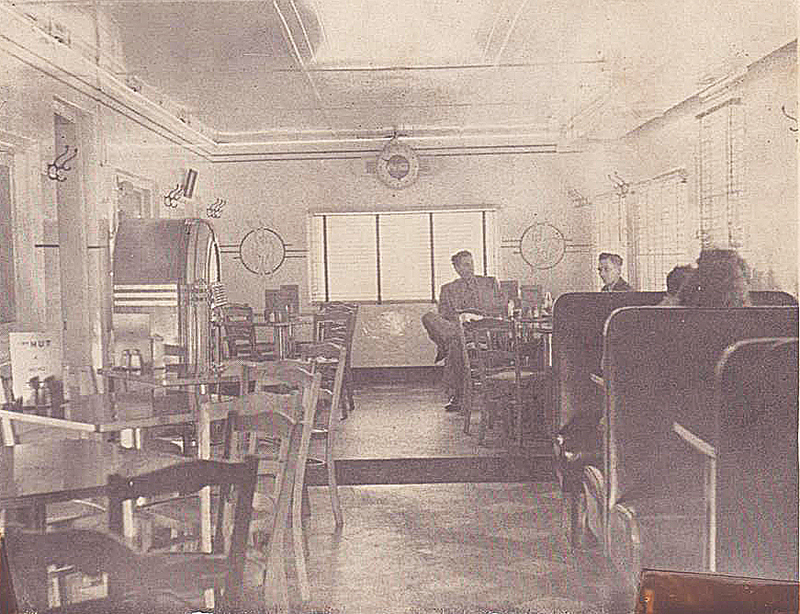 The inside of The Hut in 1950. So the vision was to create a place to stop for food and lodging at Hicksville. Mike and J.T. printed menus with the motel information on the back, and this map. 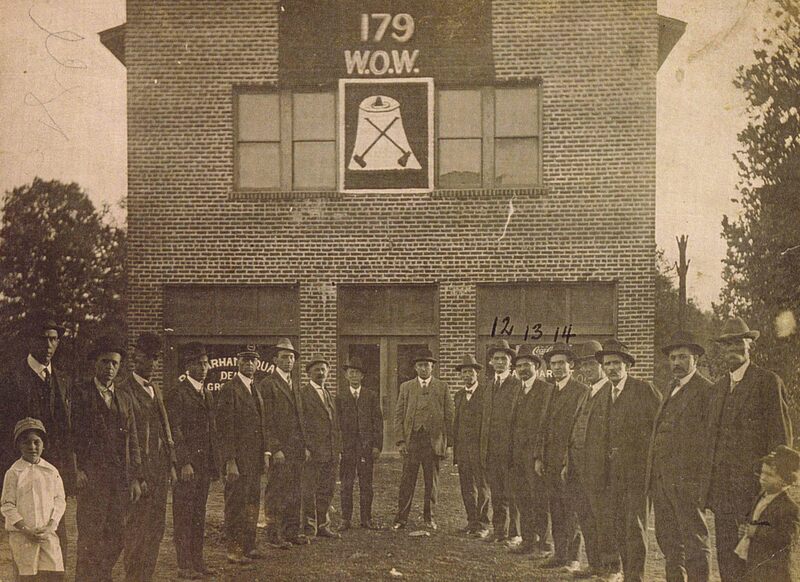 Long before a Pronto Pup, or Hut a group of forward thinking locals that we’d like to identify by name.